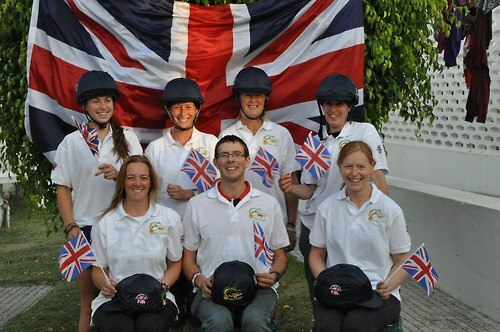 The British TREC squad started arriving in Portugal from the August bank holiday weekend to prepare for the 2012 World TREC Championships. The squad were to ride hired horses for the competition so the first task was to get used to the horses and navigation in the area. All the horses were hired from a riding school so were more used to indoor arenas and show jumping than the sport of TREC so during the first week a lot of work was put into the horses to bring them on and introduce them to the TREC obstacles. A special thank you to Rob Davies who donated his veterinary expertise to help assess the horses and prepare them in the best possible way for the competition. Throughout the two weeks before the competition the whole squad arrived. Time at the start of the second week was split between working with the horses and exploring the area to familiarise ourselves with the Portugese maps. Once all the riders had ridden all the horses available the difficult job of allocated horses to riders could be completed. Anna Weston was to ride Salero (aka Sir Black), a 15hh black show jumper with an interesting shaped rump; Lynn Davies was to ride Una, a 16hh flea bitten grey; Dorothy (Dot) Still was to ride Bubalou, a 14.2hh bay mule cross with wonderful ears; Daniel Nolan was partnered with Agave Vanden, a 15.2hh bay mare who was incredibly green but who formed a strong bond with Daniel after a large amount of groundwork; Hilary Barnard was allocated Quolisca Du Reverdy, a 16.2hh chestnut stallion with incredibly large withers and Jackie Bennet was to ride Atento, a 16hh dark bay Oldenburg who had lovely paces in the school but owing to the bounce in his stride travelled a lot further in the vertical direction than the horizontal! Eleanor Barnard, the only Young Rider to represent Britain was partnered with O-Deusa, a 14.2hh bay mare with an incredibly sweet nature. 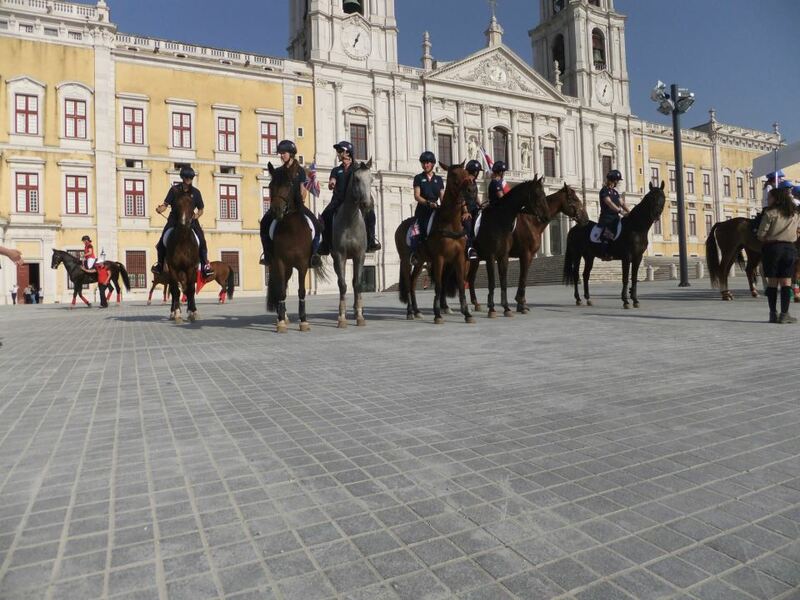 The horses arrived at Mafra National Park, the competition venue, on Wednesday 5th September with most of the other Nations already arrived with horses and supporters well settled in. Once the horses were at the competition venue the squad could explore the National Park with its myriad of tracks and many cross country obstacles of various states of repair dotted around. The competition started with vetting on Friday 7th September and all the horses passed after which the team was announced to consist of Anna, Lynn, Dot and Daniel with Hilary and Jackie riding as individuals. Saturday was the orienteering day and it started early with the first riders, including Anna, out at dawn meaning head torches were required to read the map. The route utilised the many tracks and paths within and outside the National Park. The temperature rose steadily throughout the day with the peak of the heat estimated to be in excess of 30°C. This coupled with the steep terrain meant dehydration and heat exhaustion posed a significant hazard to horses and riders alike. Thankfully there were wildlife drinking troughs complete with frogs and fish situated around the park that could be used once the horses had got over the initial shock of not drinking out of a water bucket. The route was fair but challenging with bearings and paces needing to be used with abundance and high levels of concentration being required for the duration of the course. Fortunately parts of the route had been used in a competition in the National Park in March and so were not entirely unfamiliar to the squad. Highest placed senior Brit at the end of the day was Lynn with 182 points out of a possible 240 posting her in 13th place. The leader of the phase scored 215. In the Young Riders class the POR results were very close with Eleanor’s score of 199 put her in 21st place with a three way tie for first place on 228. Vetting on Sunday unfortunately removed Anna and Lynn from the competition and as both were members of the team this removed the team from contention for a medal. 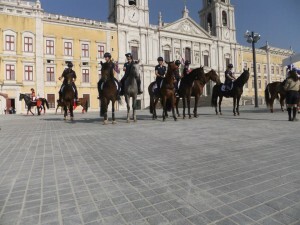 The Control of Paces was held in the main arena with the paces corridor being a large horseshoe shape and riders were given a choice of starting direction. Highest score of the Brits in this phase was Hilary’s 38, whilst the highest overall score was the maximum 60 points. The PTV was a spectator friendly twisty course with the horses returning to the main area four times. This meant that it was possible for spectators to see 11 of the 16 obstacles of the 2.4km course. All four British seniors remaining in the competition completed the PTV with the highest scored being achieved by Daniel on 92. The highest scored across the senior class on this phase was 149 out of a possible 160. 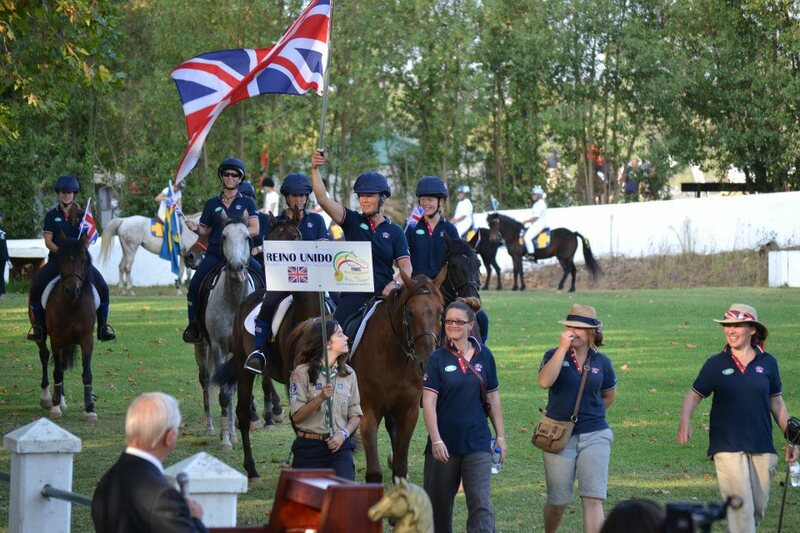 Eleanor put in an excellent performance on a hired horse scoring 109 points to put her in 13th position in the phase. Final results saw Eleanor finishing in 22nd place in the Young Riders with a score of 322 points; Ana Tereso headed up the class with a final score of 412. In the seniors Hilary finished top of the Brits with her final score of 275 putting her in 29th place whilst Dot finished her first international competition as highest place team member in 39th place with a score of 221. The overall winner of the senior class and the only senior rider to break the 400 point barrier was Noemie Van de Woyestyre of France on a score of 406. With only Dot and Daniel’s scores counting the British team finished further down the field than usually expected, however France continued their dominance of the sport to take gold with the hosts Portugal taking silver and Switzerland taking bronze. In the Young Riders team class Portugal capitalised on the home advantage to take gold with Italy taking an unexpected silver and France settling for bronze. 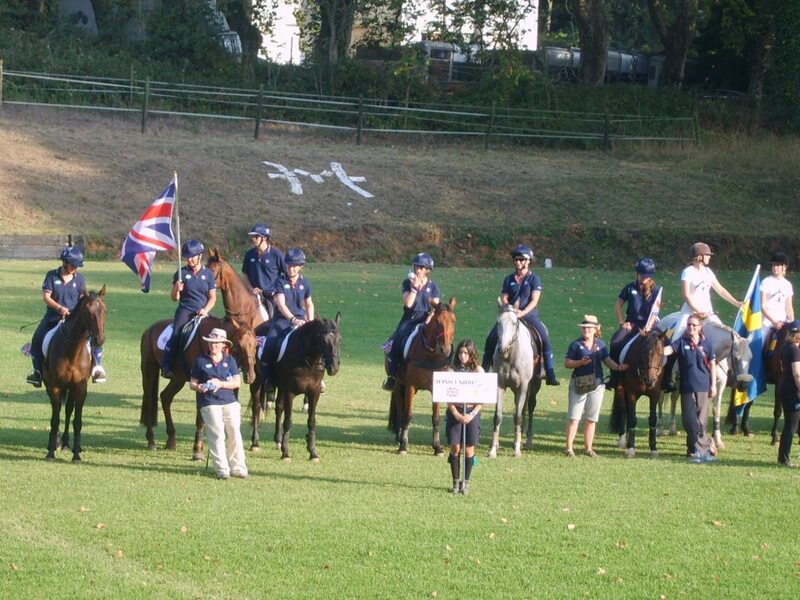 The competition culminated in a mounted prize giving into the twilight followed by the traditional lively closing party at which teams exchanged gifts from their home countries as well as team kit.